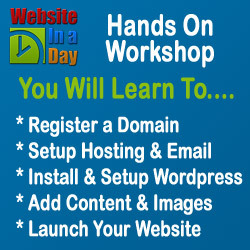 You can learn how to create and manage your own WordPress based website, in a hands on, one day training workshop that guides you through the whole process and gives you the skills and experience that you need to do it yourself. We offer WordPress Training Courses in Sydney, for beginners, intermediate and even advanced WordPress users. The WordPress Training Sydney website provides a variety of resources , information and training for anyone interested in learning how to get the most out of your WordPress website.